I can’t imagine living without a van. In 2016, Andy and I bought an old builder’s van – a 57 plate Nissan Primastar, to be precise. We stripped the back out, cleaned it up, and converted it ourselves into KeVan, the hardiest campervan around. This experience changed my life. 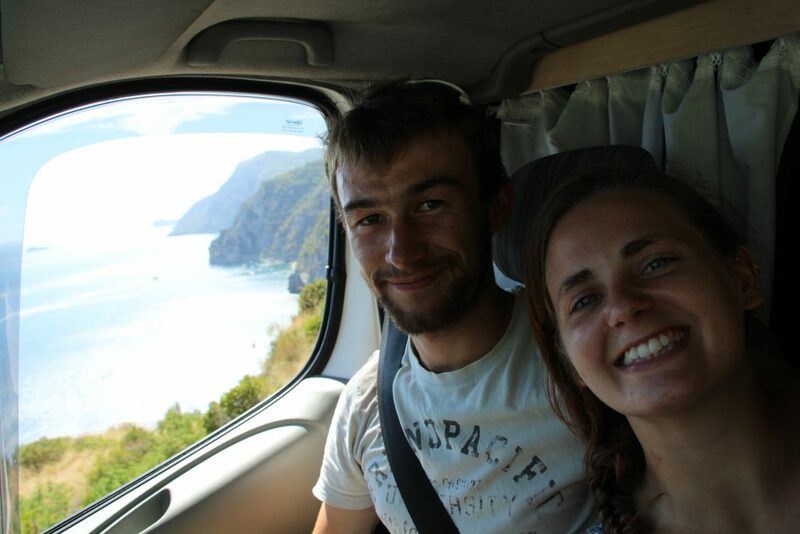 Since finishing our conversion almost 2 years ago now, Kev has taken us to 13 different countries and over 70,000 miles across a minimum of 245 nights. He has safely taken us over snow-laden mountain passes in the Pyrenees, delivered us through the desert of an abandoned sulphur mine in Portugal, and navigated the narrow coastal paths of the Amalfi in Italy. He’s carried us over boggy fields in Hungary, held his own on the autobahn in Germany, and only once did he close the M42 southbound near Worcester by breaking down in the fast lane (but I think we can forgive him for that). Kev is our only vehicle. This means that he gets used as a commuter vehicle, he gets used to do our shopping every week, to go to weddings and black tie events, and of course to travel the country and the wider world most weekends. Regardless of the situation, Kev is always there for us, and he is always a talking point. 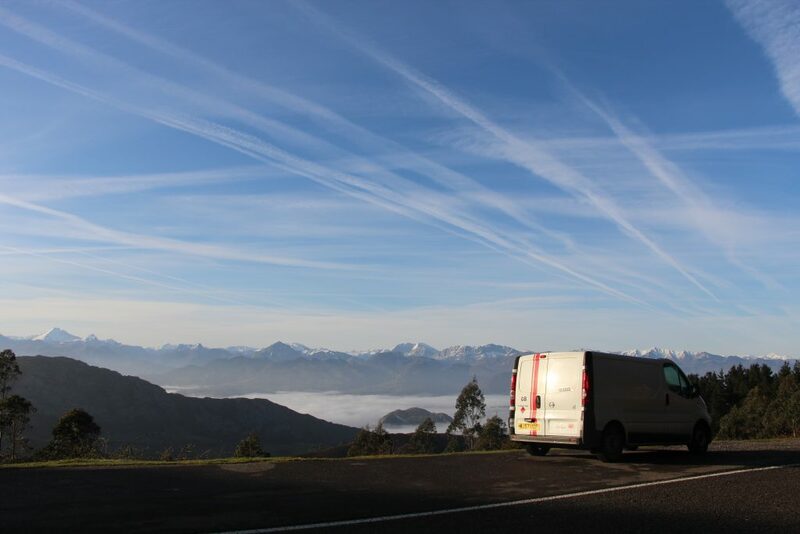 That van is our world, and we often find ourselves speaking to those who have always dreamed of getting a van or doing their own conversion. Funnily enough, the conversation always goes the same way –- doing your own van conversion is a lot easier than you think it is. For us, every decision you ever need to make about your campervan will come down to ‘the three Ps’. That is, Price, Purpose, and People. Everyone has a budget. Some people are lucky enough to be able to afford a brand new, top of the range, fully converted camper for basically the same price as a small house or flat. Others (like us), can only afford to replace something once it has been completely written off, and even then it can be a struggle. But let me put this into perspective. All in, our van – that’s buying the van plus all the materials and any extra labour for the conversion – cost us about £2,000. That’s total cost; everything. From getting someone to put a window in the sliding door, to buying the insulation, to the mattress and curtains. We’re big believers in the idea that if you want something badly enough, you’ll find a way to do it. This is no exception. If you can’t afford a brand new van, look at auctions for ex-fleet vans in particular (think old British Gas vans or Royal Mail vans). These will have been well taken care of as fleet vehicles, and will have full service histories too, so you can often be sure that they are worth it and won’t let you down. Don’t be afraid to approach your local building companies either to see if they are parting with any of their vans – often there are bargains to be had through a private sale! We learnt quite early on when doing our conversion that without deciding on what your van will be used for, you won’t be able to make well informed decisions about anything. That goes from what type of van to get, to what layout you want on the inside. Make sure you know what you will be using your van for, and base all of your decisions with that purpose in mind. For us, it was a commuter vehicle which was fit for multi-activity, multi-day trips. This meant we needed something flexible with lots of storage space, and small enough to use as a daily. Immediately this narrowed down the type of van we wanted. Sizes like the VW Caddy maxi would be just that little bit too small to enable multi-activity multi-day storage, whereas a long wheel base (LWB) high top Ford Transit van would just be too big to use as a daily vehicle, and wouldn’t allow us to fit into multi-storey car parks and other height-limited spaces if we were doing any city tripping (and it saves money on tolls and ferries). Plus, how will you be spending the majority of time in your van? For us, we are either driving or sleeping. That means we don’t have a need for extra head room because we rarely need to stand up whilst inside, and we made sure that any storage is accessible from more than one entrance. Having cupboards which can only be accessed via the barn doors at the back is not practical when you have squeezed into a city parking spot! There’s no point in getting a van that has only 2 seats if you are a family of 4. 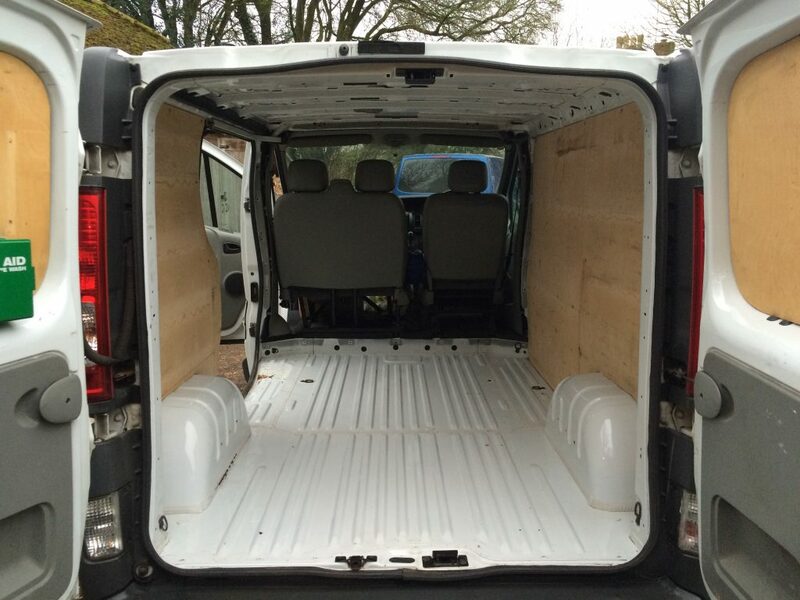 Most vans come with a bench seat in the front – that means 3 people as standard. For a couple, like us, that was perfect. 3 meant that when we were on long trips, there was room to move and to do things during long drives, but also that if we needed to, we could give our next door neighbour a lift to climbing wall on a rainy day. This of course will also affect your layout. If you need more seating, it can limit the ways in which you can have safe, belted seating in the rear whilst still having the use of a bed available. This would most likely end up having to be a ‘rock-and-roll’ style bed, since seatbelts cannot be fitted to a bench seat style bed. A rock-and-roll bed unit is the only part of a conversion that we wouldn’t make ourselves. This is due to the fact that passengers in a vehicle must be safe, which means that all seating should be crash tested and conform to safety standard. 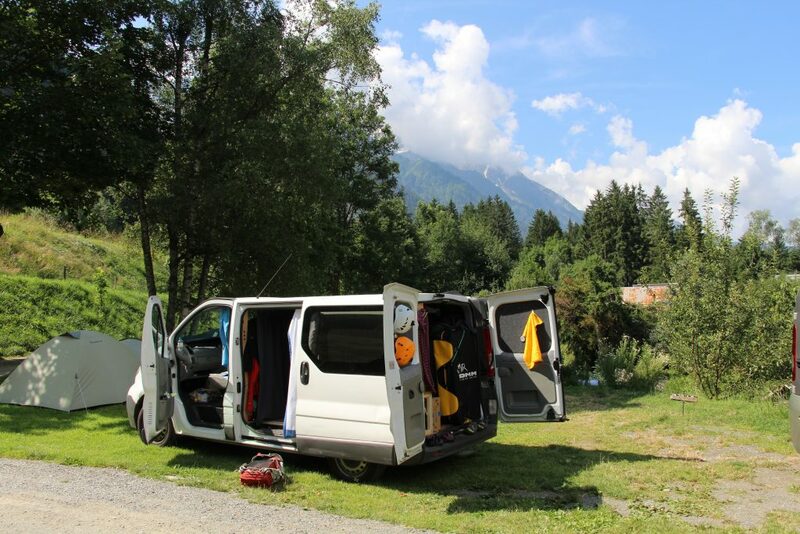 Crash testing is not easy nor cheap, so although – if required – a rock-and-roll bed may be one of the biggest expenses in your van conversion, the safety of your passengers that comes with it is priceless. As for actually building the rest of the units yourself, laying the floor and insulation, installing a leisure battery to power lights and USB charge points, and any curtains or upholstery or anything else you require in your van, YouTube is your friend. There is a wealth of advice, walkthroughs and ‘how-to’s out there (including our own! ), and van conversions are no different. From campervan cookbooks to travelling with pets, there is heaps of information online which can help you in your adventures. Save money, learn new skills, and build the van of your dreams to have incredible adventures in at the same time. Who can argue with that? So, armed with those three things, you can conquer the world from the safe space of your very own van conversion (we should know – we’ve done it, and are about to do it for a second time!). There really are no excuses and, you never know, it might just change your life.